One Eternal Day: "God is holy, we are sinners, and Jesus saves..."
.... Why did we gather? Why did we sing? Why did we do it the way we did? Maybe there was a better way. Our service had a general order like many churches’. We played fast songs to start the service, slower songs right before the sermon, and reversed the order at the end—slower songs leading to fast songs to send everyone out. I’d never considered why we did it that way. A worship service, I assumed, was worship (which meant music) and preaching. Along with some other pastors at Sojourn, I searched high and low, sitting at the feet of spiritual-formation gurus, learning from house-church movements.... The fads and hype piled up around us, and our despair grew. The search for clarity about what it meant to be the church and why we gathered only made the answers cloudier. Somehow, the story of the gospel broke through the confusion. In the churches where I’d grown up, the gospel was often treated as peripheral—the gateway to Christianity, but not central to ordinary Christian life. You deal with the gospel when you become a Christian, and then you move on to bigger things as you mature. Like Christians throughout the centuries, the other pastors and I discovered that the gospel is far more than an entrance exam or a gateway; it is the center point for all of the Christian life. This story is the defining fact for all of our past, present, and future, and we needed to live and worship with that in mind. 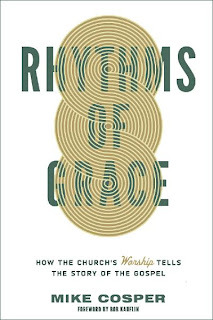 “You know,” I thought, “if the gospel is supposed to be central to the Christian life, we should craft our worship services in such a way that they rehearse that story. Every week, we should gather and remember that God is holy, we are sinners, and Jesus saves us from our sins. We could do it with Scripture readings and songs and sermons and the Lord’s Supper. Every week is an opportunity to reorient ourselves around the greater story of creation, fall, redemption, and consummation.” I thought I was brilliant and innovative. In truth, I was only rediscovering what many generations of Christians had discovered long, long before. If you look at almost any historical worship service or worship order, you’ll find that all basically engage in the same dialogue; they all rehearse the gospel story. There is plenty of variation in the details or in the degree of clarity, but the dialogue is generally the same. God is holy. We are sinners. Jesus saves us from our sins. We gather, remember our identity-shaping story, and send one another back into the wider world, allowing that story to shape us as we go. It’s a rhythm of life, forming our identity as a gospel-shaped people. 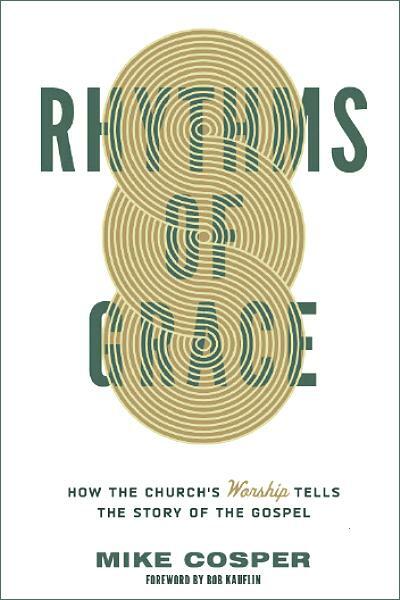 It’s a gospel rhythm, reminding us of our dependence and Christ’s sufficiency. It’s a rhythm of grace, spurring us on to live in the life-giving outpouring of love and mercy from the God of the universe.